Star Trek: Deep Space Nine is a phenomenal piece of television. It’s often a bit overlooked because of its unique setting. After all, the words Star Trek evoke space ships and new worlds – “new life forms and new civilisations.” As such, a Star Trek series about a space station feels counter-intuitive. 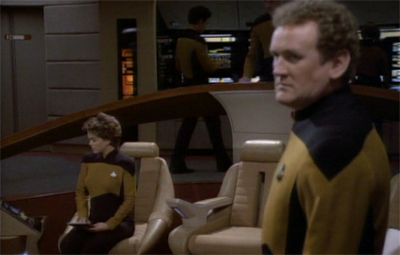 “To boldly sit” is the hardly the most dynamic premise. And yet, despite that, there’s a very serious argument to be made that Deep Space Nine is the crowning accomplishment of television Star Trek. It’s certainly the last great attempt to boldly push the franchise forward, with Star Trek: Voyager and Star Trek: Enterprise feeling just a tad regressive and conservative in comparison. Indeed, Deep Space Nine represents a massive narrative leap forward from the success of Star Trek: The Next Generation, which remains one of the greatest science-fiction shows ever produced. For better or worse, Emissary makes it quite clear that Deep Space Nine is not an attempt to copy its direct predecessor, even if some of the other episodes in the first season might back-pedal a bit. In fact, it’s surprising just how well the pilot for this strangest of Star Trek shows holds up, suggesting a firmer grasp of its own identity than a few of the subsequent episodes could claim. 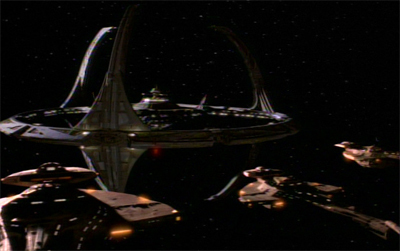 While the trappings of the show – the large recurring cast, the stationary setting, the long-form storytelling – are all set up reasonably well in Emissary, the opening scene establishes perhaps the must fundamentally distinction between Deep Space Nine and its closest siblings (The Next Generation and Voyager). Even before we see the station and learn about the brutal occupation of Bajor, it’s made clear that Deep Space Nine is a story about conflict and consequences. The opening moments of Emissary unfold during the events of The Best of Both Worlds, the wonderful two-parter that merits serious consideration on any list of “best Star Trek episodes ever.” For those unfamiliar with that iconic story – and really, it’s among the best that The Next Generation has to offer – it saw Captain Picard captured and assimilated by the Borg. Accepting the name Locutus, Picard was forced to lead the Borg against the Federation fleet, carving a path right towards Earth. Do you remember a Gul named Dukat? The Best of Both Worlds is a great piece of television, but it’s unique because it has consequences. While The Next Generation did some wonderful character continuity, it wasn’t the best at carrying plot points and thread from one adventure to another. So the fact that the direct fallout of The Best of Both Worlds was handled in the next episode, Family, was surprising. The story was also a major influence on the best of The Next Generation films, Star Trek: First Contact. Basically, The Best of Both Worlds was an absolutely huge deal, as far as an episode of The Next Generation goes. And yet, despite that, it wasn’t really given a lot of weight. Picard would occasionally reference the events, or there’d be a fleeting reference to the continuing “Borg threat”, but it seemed like both Picard and the Federation recovered pretty well from it. Emissary, in contrast, immediately attacks and undermines this assertion. Seeing Picard spend one episode overcoming his insecurities and lingering doubts was wonderful. 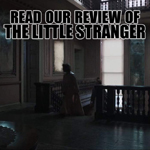 It was powerful because it so far outside the show’s usual frame of reference. Family was really the only time when a story “spilled over” like that, and dominated the episode directly following. However, one episode is still a short period of time. Emissary suggests that you don’t get over these things right away. It’s quite obvious that Benjamin Sisko is still carrying the pain caused by the loss of his wife at the Battle of Wolf 359. More than that, though, it’s suggested that he blames Picard in some way for that. “It’s been a long time, Captain,” Sisko greets Picard. Picard walks right into it, asking, “Have we met before?” Sisko doesn’t pull his punches. “Yes, sir. We met in battle. I was on the Saratoga at Wolf 359.“ It’s a wonderful moment, because it seems like this catches Picard completely off-guard. 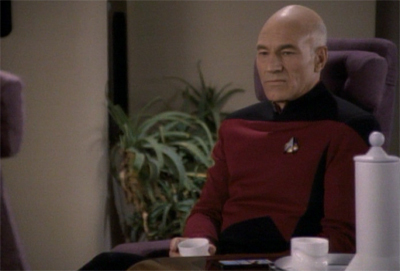 Indeed, after a pause, Picard pretty quickly changes the subject and gets down to business. Patrick Stewart plays it well, because it’s immediately clear to anybody who has watched Steward in The Next Generation that Picard is at a loss for words. Which happens rarely. 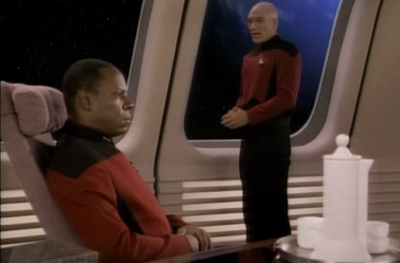 The conversation reveals that Picard looked into Sisko’s record (“I would have thought that after three years spent at the Utopia Planitia yards, that you would be ready for a change”), making it a little weird that he wouldn’t be aware that Sisko served at Wolf 359. Instead, it seems more likely that he just didn’t think that it would come up. After all, none of his other interactions with Starfleet officials (outside of First Contact) are coloured by the fact that he was involved in a pretty brutal slaughter of Starfleet officers. Of course, it wasn’t his fault. He was taken against his will, transformed. Even taking that into account, it’s hard to believe that everybody could be so understanding and accepting. Really the only indication that anybody in Starfleet apart from Sisko is at all uncomfortable about his assimilation comes early in Star Trek: First Contact. And, even then, they are very polite and understanding about shuffling him out of the line of fire. On The Next Generation, Picard was forgiven instantly. Everybody was decent enough to accept that he had been through an ordeal and none of that was his fault. Rather cleverly, and rather powerfully, Deep Space Nine opens with Commander Benjamin Sisko being incredibly confrontational and rude to Captain Jean-Luc Picard. Some guy we’ve never seen before, getting all morally righteous about our earl-grey-drinking gentleman? 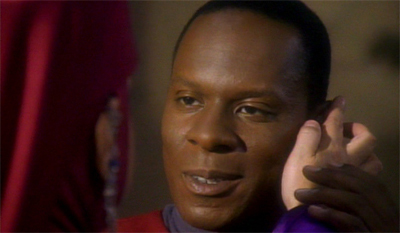 It’s hard to imagine Sisko endearing himself to the audience. That’s a bold move, and a risky move for a new show. 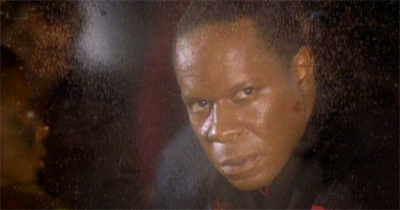 Especially when Captain Picard is something of a cultural institution at this point in the show’s history, and Avery Brooks is a guy who had a thirteen episode spin-off from Spenser: For Hire. 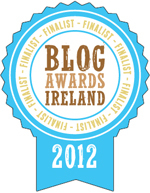 Still, it pays off. I’d argue that Picard is the best-used cast member from The Next Generation to appear in the first season of Deep Space Nine. He is used much better than the Duras Sisters, Q or Lwaxanna, because his guest appearance actually establishes the fundamental divergence between The Next Generation and Deep Space Nine. Subsequent appearances from Star Trek alumni just acknowledge the divide, without developing it. Indeed, that short scene effectively and instantly establishes two of the core differences between The Next Generation and Deep Space Nine. For one thing, Deep Space Nine is about consequences in a way that The Next Generation simply isn’t. Michael Piller was fond of pointing out that the cast of Deep Space Nine couldn’t just warp away from their problems at the end of an episode. However, the more fundamental distinction is that Deep Space Nine is about conflict. That’s controversial, right there. Gene Roddenberry apparently didn’t want any conflict on The Next Generation, a rather controversial decision that apparently caused no shortage of disagreements among the writing team at the time. I’d argue that his ban on interpersonal conflict was one of the problems with the early episodes of The Next Generation, but also ignores one of the fundamental aspects of the success of the original Star Trek. The relationship between Kirk, Spock and Bones is anchored in conflict. The Next Generation really came into its own when the writers figured out how to write around Gene’s mandates, and when his involvement with the show was gradually reduced. Writer Joe Menosky, who would go on to work more heavily on Star Trek: Voyager, confessed in The Star Trek: Deep Space Nine Companion that it was sometimes difficult to write around. Deep Space Nine remains the furthest that the any of the spin-offs have really deviated from that utopian ideal of perfect characters in a perfect universe. Even Star Trek: Voyager, built around the premise of two rival crews forced to work together, harmonised fairly quickly. This conscious decision to push away from that sort of utopian setting populated by utopian characters remains perhaps the most controversial aspect of Deep Space Nine, perhaps even more divisive than the setting itself. Roddenberry’s widow, Majel Barrett-Roddenberry even wrote a letter to the fan magazine Star Trek: Communicator condemning the show’s depiction of war. 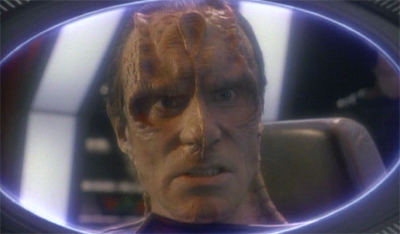 Producer Rick Berman has, in the years since, admitted a bit of discomfort with how firmly Deep Space Nine embraced conflict with its Dominion War arc. It’s quite clear that Deep Space Nine really developed without too much oversight from Roddenberry. He was not in the best of health as the series went into production, and Deep Space Nine was really the first Star Trek television show developed without his editorial oversight and direction. It remains a bit of the stepchild of the franchise in this regard, as both Voyager and Enterprise are more clearly modelled on the template Roddenberry laid out for The Next Generation, albeit with a few nods towards modernity. To be fair, a lot is made of how far Deep Space Nine pushed the boat out, but I think it very clearly remained Star Trek in spirit. I’m not talking about the trappings or the uniforms or the continuity or the guest cast. It’s nice for Patrick Stewart to pop over for an episode, but Deep Space Nine gains legitimacy from more than just a guest star. It’s clear from even Emissary that the show embraces the central philosophy of Star Trek, the humanism and the search for knowledge and betterment. Deep Space Nine might be grubby and dark. It might acknowledge uncomfortable realities and deal with the fact that not everybody will agree on everything, but it remains a surprisingly optimistic piece of television. The second half of Emissary hinges on Sisko establishing contact with a new life form. Not just a silly forehead alien, and not a new or iconic enemy. 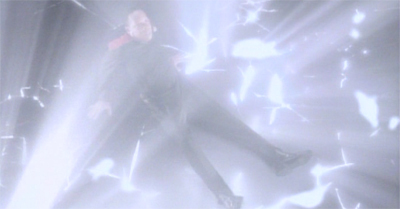 Instead, Sisko finds himself conversing with the Prophets, the Wormhole Entities, beings who have a perception of reality that is fundamentally different from our own. 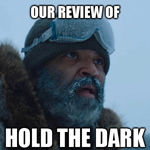 Okay, the execution is a bit clunky and awkward, but the core idea is sound. The Prophets are different. They are alien. 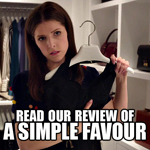 It’s great idea, even if the script isn’t quite sure how to pull it off. So we get clunky lines like “linear time? what is this?” and “experiences? what is this?” We’re perilously close to a very weird variation of “love? what is this thing you call love?”, but the show is smart enough to pull it off. 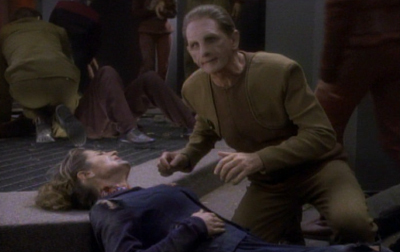 It’s also interesting that the Prophets themselves could be said to embody Deep Space Nine‘s sense of continuity. 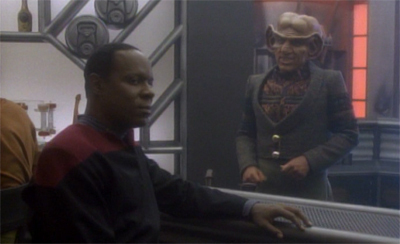 Whereas The Next Generation is clearly episodic, Deep Space Nine is more serial. Events build on events, which build on more events. The Prophets perceive time as a continuous “now”, where things don’t precede or follow each other. Much like a lot of the episodes of The Next Generation, it seems that you could chop their reality up and shuffle it and go through it in any order and there would be no difference. In contrast, Sisko proposes another model of time, where you can’t randomly chop up individual events and play them in any order. The moments build on each other, flowing from one to the next. This is a more serialised flow of time. “You exist here,” the Prophets repeatedly suggest as they leap through Sisko’s time, and it’s clear that Sisko isn’t just a generic leading man who can shepherd the show from one encounter to the next. He is the sum total of his experiences. In a way, both leading men embody their shows. The appeal of Picard is consistency and reliability. Picard will stand his ground against anything. In contrast, Sisko is prone to evolve, to allow himself to be shaped and changed by the world around him. The scenes early on here where Sisko is politely patronising about Kai Opaka’s religious beliefs seem hilarious after The Rapture. So it’s fitting that Sisko should argue about the wonders of change and the nature of time to the Prophets. In a single section of dialogue, Sisko immediately and effectively contextualises Deep Space Nine in the Star Trek canon. Star Trek is about exploring the unknown. But that also includes self-exploration, the exploration of ideas and concepts. Meeting funny-looking creatures with strange foreheads is great, but all that is really just a vehicle so that we can understand ourselves. Rather notably, and efficiently, Sisko also manages to avoid the arrogance and the smugness that occasionally manifested itself during the first season of The Next Generation. Due to Roddenberry’s mandate that the Federation must be perfect, the show spent a lot of time judging other races by our own standards. Episodes like Lonely Among Us and The Last Outpost were just excuses for humans to condescend to aliens. It’s one of the least endearing aspects of Roddenberry’s influence on The Next Generation. Sisko flips that concept on its head, and immediately establishes a philosophy of Deep Space Nine that is perfectly in keeping with Roddenberry’s broader Star Trek philosophy. It’s not about what we can teach the universe about being awesome. Exploring the universe shouldn’t be a new form of imperialism conquering, as Sisko notes, with ideas or concepts. Instead, it’s about the hope that in co-existing we might be able to learn from one another. This cuts to the heart of what makes Deep Space Nine‘s take on the Star Trek mythology so unique. In fact, it’s actually set up pretty well in Emissary. 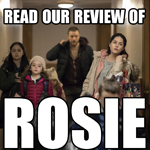 In fact, Emissary arguably has a better idea of where the show is going than any of the spin-off pilots – even if the rest of the first season struggles to keep the faith. After Sisko’s eloquent expression of Roddenberry’s ideals, the Prophets pull him right back to the opening scene. 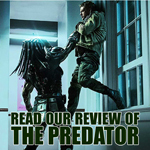 They force him to relive the loss of his wife, trapping in a moment that he’s never quite escaped. The Prophets are blunt. “If all you say is true, why do you exist here?” It’s almost as if Deep Space Nine is trying to anticipate the criticism that its darker look at Star Trek will garner. It’s not too hard to image arguments along the same line. If Deep Space Nine is still a perfect expression of Roddenberry’s ideals, then why is there death and anger and pain and suffering? If this is the world that Roddenberry wanted us to aspire towards, why are the people inside it still damaged and broken? How can Sisko speak of the exchange of ideas and utopian promises while he can’t get past the brutal massacre of his wife and his fellow crew members? The triumph is in overcoming. An optimistic worldview is worth nothing if you live in paradise. 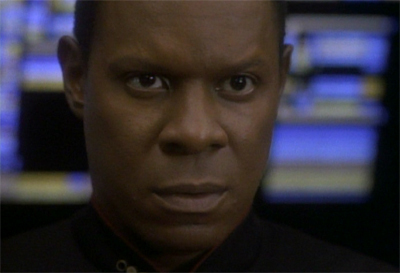 “It’s easy to be a saint in paradise,” Sisko would muse in the show’s second year. Deep Space Nine is about exploring those ideas under pressure. It’s about who we are in the darkness, and what we hold on to when the world falls to pieces around us. Ideals aren’t worth anything in a world that is perpetually perfect. The early episodes of The Next Generation brushed up against that problem, and the show finally hit its stride when it accepted that utopia was a path, not a destination. In that respect, The Next Generation and Deep Space Nine feel like cleverly-constructed counterpoints. The crew and the characters have a lot to learn. That’s why Emissary lays out a very clear mission plan. Even though a lot of the points radically change over the course of the show, it’s clear that Deep Space Nine is going places. Encounter at Farpoint pretty much gave the Enterprise a free pass. The show’s broad objective was “go places and do stuff.” And it worked wonderfully. Emissary is rather string in setting down an itemised list of objectives for the show. Of course, the show cheats a little on this. It doesn’t even achieve that objective by the end of its seven-year run. Instead, Bajor’s membership of the Federation is explored in the spin-off novels. However, having that goal set makes it clear that Deep Space Nine is building towards something. 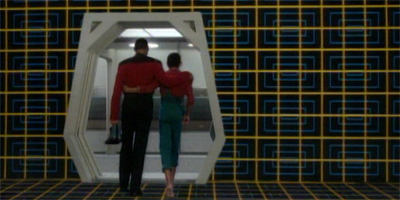 It might not be quite clear what that something is, but Emissary is still a bold departure from Encounter at Farpoint. It’s hard to blame the writers for not having everything figured out from the start. 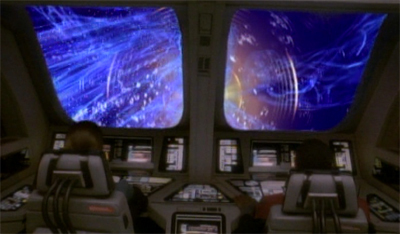 Indeed, the episode makes frequent reference to the Orbs of the Prophets. “Nine orbs, like this one,” Opaka tells us, “have appeared in the skies over the past ten thousand years. The Cardassians took the others.” Sisko repeats the number to Dax while she studies the strange artefact. It seems like they are being set up for some grander purpose. Of course, the show never really develops the orbs beyond the notion of handy macguffins to move the week’s plot along or phonelines to the Prophets. Still, there is a lot of set-up here that pays dividends down the line, even if the final episode didn’t manage to include Bajor’s admission to the Federation. Most notable, there’s a few ideas that have worked to make Deep Space Nine increasingly relevent. 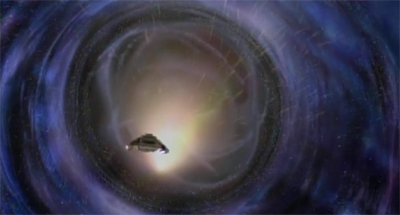 The final Deep Space Nine episode, What You Leave Behind, aired in June 1999. However, a lot of the show really resonates with the moral and philosophical ambiguities lingering after September 11th. It’s fortuitous that the show was so prescient. In fact, the show’s morality would likely seem heavy-handed were it composed as a response to the War on Terror. Certainly, Homefront and Paradise Lost, the superb two-parter roughly half-way through the show’s run, would seem a little too on the nose. Instead, told over seven years in the nineties, the show was able to raise important ethical questions about terrorism, liberty and security before it became too familiar. And, indeed, before it became taboo. 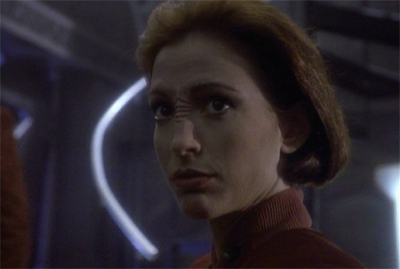 It’s hard to imagine a character like Kira Nerys appearing on a show like this in the wake of the terrorist attacks. An unrepentant former terrorist (or freedom fighter), Kira waged a brutal guerilla war that forced an occupational army from her homeland. She also killed civilians in doing so, and refused to apologise for her actions. Kira is one of the show’s strongest characters because she challenges the viewer. She’s sympathetic, strong and well-written, but she’s also potentially worrying. She feels justified in what she did, which forces us to ask ourselves some tough questions about how we react to her. How would Kira have changed post 9/11? If the show was still on in 2001, would they have changed her? And if the show had come on after 9/11, would they even have had the character? That’s a question I have. Kira was called a freedom fighter, but she was a terrorist. So that’s a question I have, and I know it’s a question that makes a lot of people nervous. Writer and producer Robert Hewitt Wolfe has even suggested that he imagines pitching a character like Kira would be problematic were the show produced today. Of course, there’s also the fact that Kira was a terrorist who is defined by her religious beliefs. 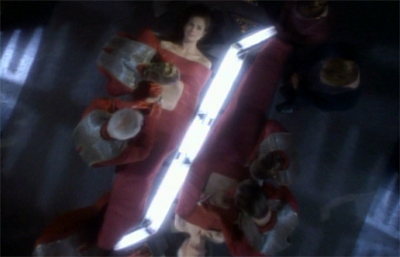 Deep Space Nine embraces the concept of faith in a way that The Next Generation never did. Star Trek has always been a secular universe. It’s built around the assumption that the universe is an absolutely wondrous place, but that science is the key governing principle. In fact, Kirk and Picard seem to spend a large amount of their time wrestling with god-like beings, or liberating primitive cultures from beings posing as gods. It’s never something that the shows have really dealt with, much like the implicit socialism of the Federation, but it is very clear that Star Trek and The Next Generation were largely atheist in their outlook. Deep Space Nine, on the other hand, is more nuanced in its portrayal of religion and spirituality. The Bajoran religion is an essential part of Emissary. It’s telling that while Major Kira rants at the provisional government, Sisko meets the spiritual leader of the Bajoran people, Kai Opaka. And, to be fair, Sisko is patient with Opaka. He’s clearly uncomfortable at the way she just starts pawing at his ear, but he is respectful. He keeps quiet. He doesn’t judge her beliefs, even if it’s clear that he doesn’t subscribe to them. “Ironic,” she muses. “One who does not wish to be among us is to be the Emissary.” Sisko doesn’t dismiss her claims, like Picard would try to do when accused of being a divine figure. Sisko doesn’t play into them either. Instead, he’s curiously respectful of her religion, even if it’s clear that he is distinctly uncomfortable. After all, Star Trek is about tolerance, and Emissary starts with a certain amount of tolerance for the religious beliefs of the Bajorans. Deep Space Nine would embrace spirituality more thoroughly over its run, but Emissary makes a few polite acknowledgements. Certainly, it is more welcoming to these claims than The Next Generation would be. The fact that Sisko’s religious title gives the episode its name indicates that we should take that religion seriously. Similarly, Opaka speaks of fate in a way that suggests the show won’t keenly dismiss her. 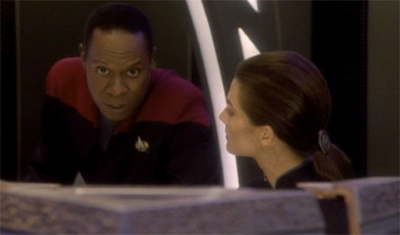 “It is, quite simply, Commander, the journey you have always been destined to take,” she tells Sisko. And he promptly goes on to fulfil the prophecy. It’s not ambiguous. The show doesn’t set up a plot point that it teases for half a year. 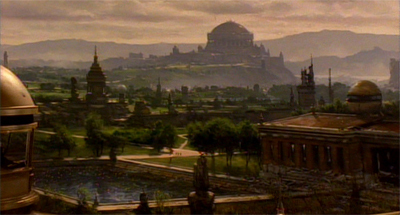 Opaka tells Sisko he is destined to find “the celestial temple”, and then he finds it. It’s hardly sitting on the fence or playing it safe. There is a rational explanation for all this, but – and this is crucial – it doesn’t perclude faith. The Wormhole Aliens are alien life forms, but the Bajoran people worship them as the Prophets. There’s no snide comments from Sisko when he returns from the wormhole. There’s no handy scientific explanation that he tries to force down Kai Opaka’s throat. The show explains that the Bajorans have chosen to build a religion around these creatures, but that doesn’t invalidate their beliefs. In fact, one of the show’s pivotal moments in The Sacrifice of Angels sees Sisko asking the Prophets to accept godhood – “you want to be gods? then be gods!” – something that no other Star Trek series would attempt. Still, most of this is yet to come. And, yet, Emissary seeds a great deal of it. Not necessarily directly, but thematically. It lays down the rules of the show in such a way that all these later brilliant moments are possible, while making an argument that the show is still Star Trek while distancing itself from The Next Generation, which was airing at the same time. 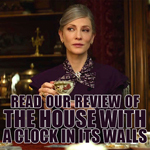 While a significant portion of the first season suffers from trying to be too much like its older sibling, Emissary makes a concrete effort to distinguish itself. You can see that in the ensemble featured. 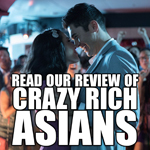 The Next Generation has a phenomenal cast with three breakout iconic characters. Deep Space Nine never quite had that level of recognition, even when it ported over Worf from The Next Generation. However, the ensemble is a lot sleeker here. It seems more cleverly designed from the outset. The first season of The Next Generation struggled a bit with several of its characters. Wesley Crusher and Deanna Troi in particular failed to really define themselves as part of the ensemble. After all, what use is a Counsellor on a ship full of conflict-free individuals? Deep Space Nine seems to have designed its ensemble to work together, to the point where the problems in the main cast remain fairly well hidden throughout the first season. Compare the character of Jake Sisko to Wesley Crusher. Both are the teenage children of single parents serving in Starfleet. Wesley was pushed to the front of the cast of The Next Generation, turned into a wunderkind audience surrogate – look, teenage nerds, you too could save the Enterprise! – which turned out to be a massive miscalculation on the part of the producers. Jake, however, was much better used. He was kept in the background. Although Cirroc Lofton is credited every episode of the show, the character tends to disappear for long stretches at a time. When Deep Space Nine doesn’t want Jake around, it doesn’t use him. So there’s no awkward excuse to get Jake into the main plot, or to prove he’s a capable mechanical genius. 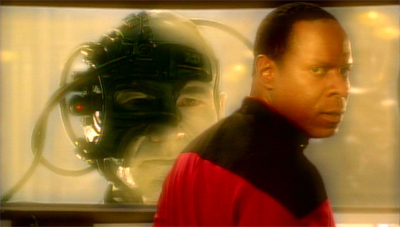 The relationship between Benjamin and Jake Sisko works because the show realises that loving father-son relationship is enough for Jake, and doesn’t try to do more. It helps that Lofton develops into a much stronger actor than Wheaton. There are two other members of the ensemble who work better in the group dynamic than outside it, and – while Emissary conceals it quite well – it becomes obvious soon enough. The first is Jadzia Dax, the show’s science officer. She works well with the cast. She’s loud and forceful in groups. Farrell has an incredible energy. Dax also works well with a large number of the main cast. She’s a confidante to Benjamin Sisko. She brings out Kira’s feminine side. The other problematic character is arguably my favourite member of the ensemble. 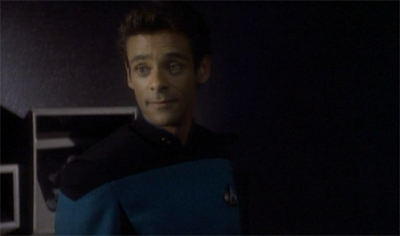 Julian Bashir is a character who seems to exist purely so the show can distinguish itself from The Next Generation. His role in the first few years is effectively to be idealistic, and a little smug, and a little arrogant. He’d actually fit in remarkably well with the cast of The Next Generation in the first season of their show, and it’s fitting that he is the Deep Space Nine character to cross over for Birthright. 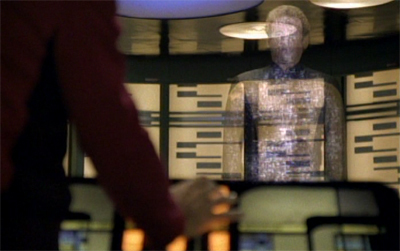 Anybody else might have felt wrong wandering around the Enterprise talking about Data’s dreams. However, he works so well as part of the Deep Space Nine ensemble because he provides a sharp contrast. Bashir is pretty close to Roddenberry’s vision of the near-perfect human, something that gets an ironic twist in the show’s fifth season. Here, the show isn’t afraid to call him out on how condescending and patronising his smug superiority can be. 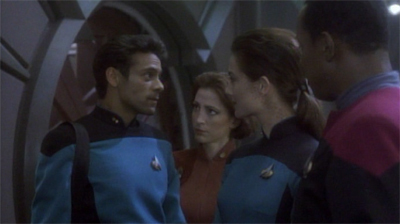 There’s a wonderful scene in the infirmary with Kira, where tells the Major how deeply thrilled he is to be on Bajor. This’ll be perfect. Real frontier medicine. Major, I had my choice of any job in the fleet. I didn’t want some cushy job or a research grant. I wanted this. The farthest reaches of the galaxy. One of the most remote outposts available. This is where the adventure is. This is where heroes are made. Right here, in the wilderness. This wilderness is my home. It’s also a great moment for Kira, because she manages to do what I spent most of the first season of The Next Generation wishing that I could do. She basically calls the smug superior self-satisfied git out on his borderline imperialist attitudes. Did I mention Kira is a great character? Kira is a great character. Bashir works well because he’s very clearly unsuited to the realities of the show he is appearing in. You get the sense that he might have made a particularly bland yet effective replacement for Crusher in the second season of The Next Generation, but he misread the situation horribly. He spends most of Emissary making fairly stupid statements that would Picard would at least politely consider. Instead, it’s quite clear that everybody thinks that Bashir is slightly disconnected from reality. The show doesn’t figure out how to make Bashir work as a character in his own right until the fourth season of the show, when it realises that Bashir’s moral outlook can be contrasted with the universe at large. Indeed, the fourth season gives us a string of superb Bashir episodes in Hypocratic Oath, Our Man Bashir and The Quickening. However, from Emissary, it’s clear that Bashir was constructed more as a part of the ensemble than as a character in his own right. Because it’s immediately clear that Deep Space Nine is not a big happy family. It’s explicitly contrasted with the familial relationship on the Enterprise. In a nice scene, Patrick Stewart arrives to beam O’Brien off the Enterprise one last time, but comments on how much a part of the fabric of The Next Generation Chief Miles Edward O’Brien has become. “You know, yesterday, I called down here and I asked for you without thinking.” The cast of The Next Generation established that dynamic relatively quickly, but the entire point of Emissary is to point out that the characters are not going to have that sort of atmosphere. Certainly not yet. 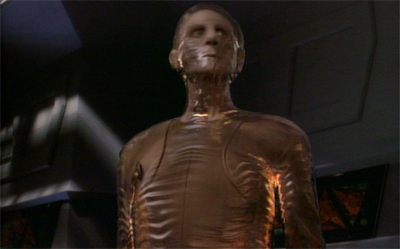 It also seems like the show might be making the early mistake of trying to pigeon-hole Odo into the same iconic mold as Spock or Data, the sympathetic outsider with no understanding of how humans work. 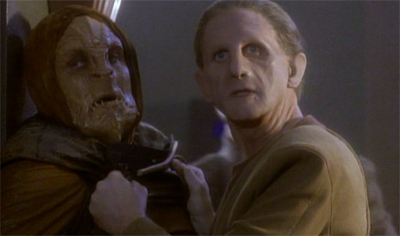 It is certainly an aspect of Odo, put placing the “only one of his kind trying to find his roots” narrative so blatantly to the fore feels a little strange. Rene Auberjones perfectly captures the sense of being aloof and disconnected. There’s a sense that he might want to find out who he is, but Auberjones pitches him so perfectly cynically that it doesn’t seem right he’d be so candid about it. It’s so casual that it’s shocking. There is a sense of a world trying to recover from something truly horrible. The ambiguities of it all – the fact that we don’t know that much about the Cardassian occupation yet – somehow make it all worse. Four Bajorans killed on the day of withdrawal on the official Cardassian space station, and yet Gul Dukat can casually walk into Captain Sisko’s office wearing that smile and making those none-too-subtle threats? It’s a very unsettling image, and something markedly different from what The Next Generation would get away with. 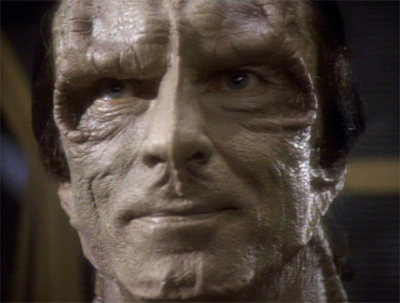 I’ll talk about the Cardassians at some point in the future, but they make fantastic villains because there’s something so tangible about them – so much more real than the casual villainy of so many other Star Trek baddies. They don’t go around boasting or making idle threats. Gul Dukat’s warning to Sisko is phrased as neighbourly concern. 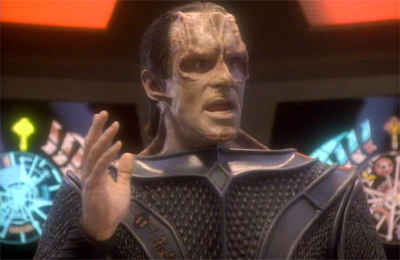 “And allow me to assure you that we only want to be helpful in this difficult transition,” Dukat promises. “You’re far from the Federation fleet, alone in this remote outpost, with poor defence systems. Your Cardassian neighbours will be quick to respond to any problems you might have.” I’m sure they would. In a way, that is far more threatening than Jasad’s typical bluster and threat. Dukat doesn’t seem interested in conflict for conflict’s sake. He can’t be trusted, but he won’t declare himself an enemy. There’s something far more unnerving about the devil that you have to get along with. 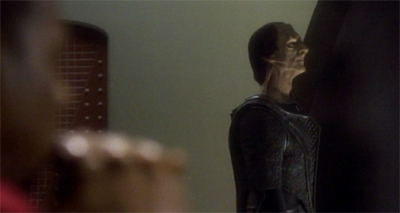 There’s a sense that dealing with Dukat will have long-term consequences. It helps that Marc Alaimo makes quite in impression in what is a relatively small supporting role. Everything seems so fragile at this point, so precarious, so unstable. That’s the beauty of the way that Deep Space Nine approaches both conflict and continuity. There’s a sense that the whole thing is a house of cards that could just collapse at a moment’s notice. A wrong move on Bajor could kill the whole alliance and potential membership. A moment of weakness could see the Cardassians return. Even the unknown has a shortcut right to the station’s front yard. “Commander,” Quark explains, “I’ve made a career out of knowing when to leave, and this Bajoran provisional government is far too provisional for my taste. And when governments fall, people like me are lined up and shot.” Armin Shimerman might be struggling a bit with the wrong make-up (he’s wearing Rom’s nose! 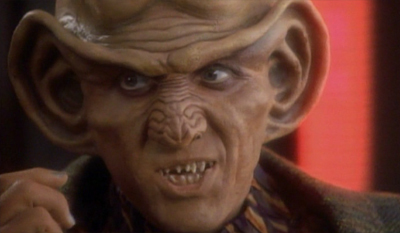 ), but even Emissary suggests Quark has his finger on the pulse. 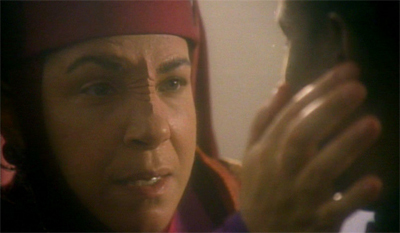 Kira bluntly assures Sisko, “This government will be gone in a week and so will you.” The show gets bonus points for actually following through on the spirit of that threat in the second year. It’s quite clear that nobody wants to be on Deep Space Nine. Except Bashir, and that’s only because he’s on the wrong television show. Sisko is fairly blunt about his contempt for the position. “Perhaps Starfleet Command should be considering a replacement for you,” Picard notes. 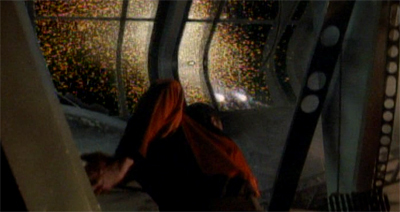 “That’s probably a good idea,” Sisko responds. Sisko then has to blackmail Quark into staying, threatening to send Nog to prison.The transporters on the Enterprise work so well even Picard can handle them, while Chief O’Brien has to resort to percussive maintenance to rescue Odo. Major Kira is, for her part, quite candid that she doesn’t want the Federation here. Even at the end of the episode, her acceptance of their presence is the lesser of two evils. “That wormhole might just reshape the future of this entire quadrant. The Bajorans have to stake a claim to it. And I have to admit that claim will be a lot stronger if there’s a Federation presence to back it up.” It’s them or the Cardassians, it seems. Hardly a ringing endorsement. Deep Space Nine starts very strong out of the gate. The execution might not be pitch-perfect (for example, Felicia M. Bell cannot act), but the ideas are better than sound. 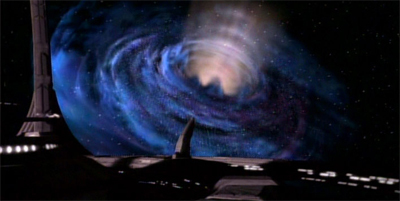 Unfortunately, the season wanders a bit, loosing sight of the strengths on display here, but Emissary does offer a tease of the potential of Deep Space Nine. Three breakout characters on TNG? Perhaps I’m blanking on something, but beyond Picard and Data, who do you mean? I can’t imagine anyone really separating Riker (who fades out of the movies and later seasons), Geordi, Worf, Crusher, or Troi from the rest of the pack. Unless, of course, you mean Barclay. He’s the obvious third breakout character, in that a significant portion of the show’s big episodes pivoted around him.